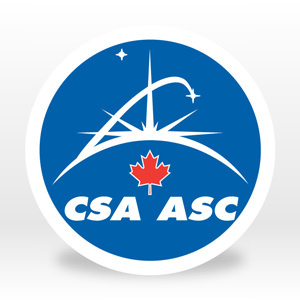 Today, the Canadian Space Agency (CSA) announced a significant contribution to NASA’s Origins, Spectral Interpretation, Resource Identification, Security, Regolith Explorer (OSIRIS-REx) mission. Canada’s contribution to the mission is the OSIRIS-REx Laser Altimeter (OLA), a sophisticated laser-based mapping system. The OSIRIS-REx Laser Altimeter will be used to create unprecedented 3-D maps of asteroid Bennu to help the mission team select a site from which to collect a sample. In exchange for the OSIRIS-REx Laser Altimeter, the Canadian Space Agency will own 4 percent of the returned sample, providing the Canadian scientific community with its first-ever direct access to a returned asteroid sample. The OSIRIS-REx spacecraft will travel to a near-Earth asteroid, called Bennu (formerly 1999 RQ36), and bring at least a 2.1-ounce sample back to Earth for study. The OSIRIS-REx mission goal is to address basic questions about the composition of the very early solar system, the source of organic materials and water that made life possible on Earth, and to better predict the orbits of asteroids that represent collision threats to Earth. Goddard will provide overall mission management, systems engineering and safety and mission assurance for OSIRIS-REx. Dante Lauretta is the mission’s principal investigator at the University of Arizona. Lockheed Martin Space Systems in Denver will build the spacecraft. OSIRIS-REx is the third mission in NASA’s New Frontiers Program. NASA’s Marshall Space Flight Center in Huntsville, Alabama, manages New Frontiers for the agency’s Science Mission Directorate in Washington. When Arizona planetary scientists were planning an asteroid sample-return mission, they looked to Canada for a special instrument and expertise for studying the geology of their target asteroid, 101955 Bennu. NASA selected OSIRIS-REx as a mission of its New Frontiers Program in May 2011, and in doing so, Canada became a partner in an international mission to return an extraterrestrial sample to Earth. The Canadian Space Agency was approved to develop the sophisticated instrument, called the OSIRIS-REx Laser Altimeter, or OLA, in February 2013. It is an advanced lidar (Light Detection and Ranging) system that is being designed, built and tested by a leading Canadian technology company, MacDonald, Dettwiler and Associates (MDA). A team of five Canadian planetary scientists is working closely with MDA in developing the OLA for launch in September 2016. The instrument will be turned on when the OSIRIS-REx spacecraft comes within about 7 kilometers, or about 5 miles, of Bennu in November 2018. OLA will map the entire surface of 493-meter-diameter (one-third mile) Bennu during a 418-day spacecraft-asteroid rendezvous, giving scientists an extremely accurate 3-dimensional model of the asteroid. This model will help mission scientists obtain fundamental and unprecedented information on the asteroid’s shape, topography, surface processes and evolution. They also will have critical information on where to safely take an all-important sample for return to Earth in 2023. The Canadian science team brings a range of scientific expertise for studying Bennu’s geology. Hildebrand specializes in studying the physical properties of asteroids and pieces of asteroids — space rocks that are called meteors when they blast through Earth’s atmosphere, where they burn up as fireballs or explode, showering meteorites over the ground. Research that Hildebrand began as a University of Arizona planetary sciences graduate student developed into later work that established that the Chicxulub crater beneath Mexico’s Yucatan Peninsula is a prehistoric impact crater, the largest confirmed impact crater on Earth. Currently, Hildebrand teaches geoscience and coordinates the Canadian Fireball Reporting Centre at the University of Calgary. He is principal investigator for the Canadian Space Agency’s Near-Earth Object Space Surveillance Satellite, a project to find and track near-Earth asteroids and comets from space, especially ones that are difficult to see from Earth because they are positioned towards the sun. ‘“The Canadian science team working on OSIRIS-REx iis interested primarily in asteroid geology — how Bennu formed, how it evolved, why it is shaped as it is,” Hildebrand said. “Bennu will have a very different geology than has ever been seen up close before,” he said. Bennu is a primitive carbonaceous asteroid, i.e., a body little altered since the formation of the solar system, and smaller than other asteroids visited by flyby missions. The relatively larger asteroids studied in earlier missions were covered by surface materials similar to those found on the moon. Bennu may be very different, given its lower gravity, Hildebrand said. “Bennu also has a roughly dihedral, or double-topped, shape that suggests it has been deformed by spin rotation, which we really haven’t seen up close yet,” he added. For the past several years, Hildebrand and collaborating graduate students have been measuring such physical properties as elasticity and strength in carbonaceous meteorites to better estimate what Bennu might be like. As a result, one of his team’s contributions to OSIRIS-REx project is making material that simulates the kind of material that TAGSAM — the spacecraft’s sample-collection mechanism — may encounter at the asteroid’s surface seven years from now. Hildebrand’s lab designed and manufactures a simulant of Bennu’s surface and ships it to Lockheed-Martin where it is used during TAGSAM development. When OSIRIS-REx returns a bit of Bennu to Earth, Hildebrand and the team will analyze Canada’s part of the sample for such properties as bulk and grain density, elasticity, dielectric properties (or how the sample interacts with electromagnetic radiation), sheer and tensile strength. Tentative plans are to curate the Canadian portion of the returned asteroid sample at the University of Calgary. An expert in lidar technology, Daly was lead engineer for instrument development for the Canadian weather station that landed at the North pole of Mars and sent back weather reports for five months in 2008 as part of the University of Arizona-led Phoenix Mission. When scientists from the University of Arizona Lunar and Planetary Laboratory began working on their proposed asteroid-sample return mission in 2009, they contacted Daly of MacDonald, Dettweiler and Associates (MDA) about providing a science lidar for OSIRIS-REx. Daly, who since has joined York University in Toronto, Ontario, worked with Olivier Barnouin of the Johns Hopkins University Applied Physics Laboratory, lead for OSIRIS-REx altimetry, in developing the science requirements for the Canadian instrument. Daly then began working on design concepts for the OSIRIS-REx Laser Altimeter. As deputy principal investigator and instrument scientist for the OLA team, Daly is responsible for developing the science requirements for the instrument, ensuring that OLA meets those requirements, and working with the MDA team in building the instrument. Daly also is responsible for developing software that will process raw data returned from OLA to products that scientists can use. The Canadians have just finished prototype testing and are now constructing their engineering model, a model that will be as much like the flight model as possible. Once engineering model tests prove the instrument will perform to its specifications, and after the flight model design passes an important design review, the team will proceed to building the version of OLA that will fly on OSIRIS-REx. “A lidar works by firing laser pulses to precisely measure distance,” Daly said. “You time when the light pulse is emitted and you time when it comes back after reflecting off the asteroid. By knowing the speed of light, you can measure the exact distance. It’s the same principle as radar. “The hard part is making this work on a spacecraft, and making it work on a very, very dark object like Bennu over a wide range of distances to the surface,” Daly said. To do that, OLA has two laser transmitters. The high-power transmitter will be used when the spacecraft is between 7 kilometers and one kilometer from the asteroid, sending out pulses 100 times a second. When the spacecraft gets closer than one kilometer to Bennu, less energy is required for each laser pulse, so a low-power transmitter can operate 100 times faster, taking 10,000 measurements per second. OLA will be important for spacecraft navigation, Daly said. It will give real distance measurements to the surface of Bennu which will speed up the production of shape models used to help guide the spacecraft’s descent to the surface of the asteroid. As for mission science, OSIRIS-REx will rely on OLA for measurements that can be used to make a highly accurate three-dimensional model of the shape of Bennu. Scientists will use the 3D-shape model to calculate asteroid volume, and combine that with information on asteroid mass “so we can really pin numbers to the asteroid density, which is a significant goal for a mission like this,” Daly said. Bennu’s mass will be determined by measuring how the spacecraft interacts with the asteroid as it orbits. “One of the things that makes OLA special is its very fast two-axis scanning mirror. OLA can take the equivalent of reams of pictures in a square, raster-pattern scan. It can use its scanning mode to take a very dense image of the surface of Bennu in a couple of minutes.” Just like images made with an imaging orbital camera, these square lidar-scan images can be pieced together to get the big picture of the asteroid landscape, Daly said. Getting accurate surface topography is a major science goal for the OLA team. Scientists will learn from topography how different geological parts of Bennu’s surface may have formed through time, providing insights into the asteroid’s geological past. The team also will learn where to safely take a sample — the primary goal for the entire OSIRIS-REx mission. CATHERINE L. JOHNSON, UNIVERSITY OF BRITISH COLUMBIA, VANCOUVER, AND PLANETARY SCIENCE INSTITUTE, TUCSON, ARIZONA. Johnson has summarized her research as “trying to understand surface and satellite observations to probe the structure and evolution of planetary interiors.” She’s known for her research on planetary magnetic and gravity fields and the interior structure of the Earth, Moon, Mars and Mercury. A participating scientist on the MESSENGER mission to Mercury, Johnson brings important data processing expertise to OSIRIS-REx. She is a professor of geophysics at the University of British Columbia, a senior scientist at the Planetary Science Institute in Tucson, Arizona, and was recently named a 2013 American Geophysical Union Fellow. And unlike the planets, which are so massive that interior heat and pressures dominate their subsequent evolution, Bennu is so small that its evolution has been mostly determined just by its orbit, Johnson said. “For any planet we’ve ever visited, we had a good idea of the object’s mass. We don’t know something as fundamental as Bennu’s mass,” she added. One problem is, navigators need to know Bennu’s mass to get a spacecraft successfully into orbit around the asteroid. But they won’t have a really good idea of that mass until the spacecraft flies close enough to Bennu so they can measure changes in spacecraft trajectory. Until then, Johnson is part of the effort to come up with a range of plausible estimates of Bennu’s mass. Estimates are based on such things as different kinds of astronomical observations, what is known about other asteroids in the asteroid belt, and what is known from studies of meteorites believed to be similar in composition to Bennu. OSIRIS-REx will take a mother lode of geophysical information during asteroid proximity operations, which begin in late 2018. Geophysicists will have data to map Bennu’s overall shape, determine its gravity field, study small-scale structure on the asteroid’s surface and help select the TAGSAM sampling site. “We’ll be trying to understand Bennu’s composition and its interior structure, trying to understand especially how it was put together and what’s holding it together, and whether or not, just based on its interior structure, we can actually say something about its long-term evolution as well,” Johnson said. “I’d like to know, what is the asteroid made of, is it coherent rock or is it a rubble pile of smaller rocks? Is it one fairly homogenous lump or is it very heterogeneous? What is its actual shape overall? “What can you infer about the interior structure — is there any evidence that it is made up of different (geological) regions? If Bennu was hit by other asteroids — not huge ones, but ones that make craters — how is the energy from those impacts transmitted through the asteroid? Would there be enough seismic shaking from impacts to actually move boulders around on the surface? REBECCA GHENT, UNIVERSITY OF TORONTO, AND PLANETARY SCIENCE INSTITUTE, TUCSON, ARIZONA. Ghent began working on her doctorate in structural geology shortly after the end of the Magellan mission to Venus 20 years ago. She ended up completing her thesis on Venus, and since has been studying different geological processes on the terrestrial planets and the Moon. She is now on the faculty at the University of Toronto, and she is a senior scientist with the Planetary Science Institute in Tucson, Arizona. Currently, Ghent’s work focuses on two major research themes. One has to do with understanding how lunar regolith — the surface layers of dust, rubble and rock that blanket the Moon — forms and evolves, and what impact cratering contributes to those processes. Ghent is on the Diviner thermal radiometer science team for NASA’s Lunar Reconnaissance Orbiter, which has been orbiting the Moon since 2009, and she also is part of a collaboration of scientists who use Earth-based radar observations to study lunar geology. The other is for OSIRIS-REx. Before spacecraft launch, and in collaboration with Michael Daly, Ghent is pioneering a major new research effort to discover the electrical properties of the dust, rubble and rock covering asteroids, especially carbonaceous asteroids like Bennu. Ghent and students are starting laboratory experiments to systematically test the electrical properties of a range of minerals and meteorite samples – our best analogs for asteroids, including Bennu. Ghent is among the OSIRIS-REx scientists who look forward to incredible geological field days during asteroid rendezvous. “I’m really interested in the processes that have taken place throughout Bennu’s history,” Ghent said. “For instance, if it has impact craters, do impact craters form in the same way they form on bigger bodies, or do they form differently? And what happens to impact ejecta — does it just stay on the asteroid? And a corollary to that is how does regolith on this asteroid form and evolve? Is the process similar to or different from what happens on the moon? Cloutis, a professor and director of the Centre of Forest Interdisciplinary Research at the University of Winnipeg, is a geologist who specializes in spectroscopy. Spectroscopists study how materials absorb and emit light to identify the elements and compounds that compose them, and to see atomic and molecular structure. Cloutis (pronounced ‘CLEW tis’) applies his skills in spectroscopy to problems ranging from the mapping of Mars and asteroids to art history, and in remote sensing of crop health to the impacts of climate change. He’s on a U.S. science team that uses one of the spectrometers aboard NASA’s rover Curiosity to map to geology of Mars, as well as on Mars orbiter missions. He works on the Dawn mission that has visited Vesta and is on its way to Ceres in the asteroid belt. And he’s a co-investigator on an upcoming Japanese lunar mission as well. Cloutis said his goal on OSIRIS-REx is to combine information from two spectrometers on OSIRIS-REx to discover what Bennu is made of. Spectral observations made with Earth-based telescopes show the asteroid is really dark. “So the best guess right now is that we’re dealing with an object that’s very primitive, composed of a lot of organic material, and formed far beyond Earth, then somehow made its way close to the Earth’s orbit,” Cloutis said. Cloutis and others in the mission’s Spectral Analysis Working Group are now developing software tools they will use to automate some data analysis operations because “we’re going to be getting back so many spectra it will be hard for us to keep up with the data flow,” he said. With the right software, scientists will be able to more efficiently identify areas where OSIRIS-REx can take the most geologically interesting sample, hopefully one rich in organic compounds important to the evolution of life. Cloutis is also conducting experiments at his Winnipeg laboratory to understand just how truly primitive Bennu is. Might Bennu have had any close encounters with the sun that heated its surface enough to alter its organic molecules? Cloutis and his students have been baking samples of primitive meteorites rich in organics — samples that might be similar to Bennu — then watching what happens to the spectral properties of these meteorites. Finding a good match between the experiments and what is found at Bennu could provide an important clue to the history of the asteroid.